Jerry: Why don't you just get a pair of white shoes, move down to Miami Beach and get this whole thing over with? 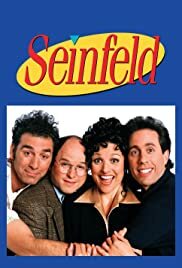 I was sitting in my apartment tonight watching the end of a sitcom era with the last "friends" episode and it brought me back to 1998 when we all said goodbye to "seinfeld". I won't sit here and debate, which was the better show because, lets face facts they both did a fine job. They are two very successful sitcoms, but other than that they really had an entirely different feel and format. "Seinfeld" gave us all so many catch phrases and we all continue to enjoy these characters and episodes six years after the show ended. I just love it. I constantly find myself reciting lines from the show with a good friend of mine. This show rocks. It will always be a great show. I will continue to watch this show in reruns over and over. It sure doesn't get old. I wanted to add some favorite lines or scenes from the show, but there are truly too many. 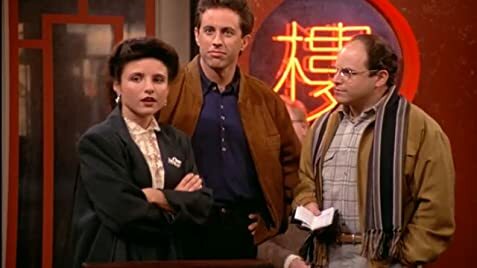 Kramer, Elaine, George, and Jerry just rule and have such a great chemistry. The additional characters throughout the years were cool too. Some of my favorites were Puddy, Peterman, and Frank Castanza. Oh greatness. So keep Seinfeld alive in your hearts and keeping watching the show about nothing. 135 of 182 people found this review helpful. Was this review helpful to you?